The failures of the Nevada GOP are lessons for Republicans across the country. Avoid the same mistakes as the Nevada GOP, or all of America will turn blue. Nevada GOP candidates had no life, no energy, no personality. Not all of them, but most of them. They also failed to the do the basic work of campaigning. Many state Republican candidates are afraid to spend time with the voters or allergic to voters -- maybe they just don't like them very much -- or allergic to hard work. No candidate can win an election without campaigning day and night for months leading up to the voting. This isn't a debate. I was just proven 100 percent right: The feckless Nevada GOP lost everything but the kitchen sink. Statewide candidates might consider doing a large percentage of campaigning in Clark County. Las Vegas is kind of important, didn't you hear? Willie Sutton robbed banks because that's where the money was. To win elections, you must campaign where the voters are. They're in Clark County, you dimwits. 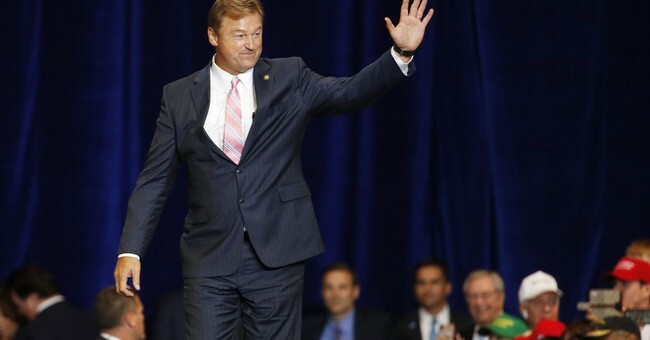 Where were our two major candidates, Dean Heller and Adam Laxalt? They were AWOL in Clark County/Las Vegas. Can you imagine candidates for major office just "mailing it in"? It just happened. I've had hundreds of emails from loyal Republicans agreeing with me and reporting their shocking, depressing up-close-and-personal experiences with the Nevada GOP. Some showed up to man phone banks, only to find the GOP offices closed ... at 1 p.m. on a Friday. Really? Others said the GOP and our candidates were good at asking for money ... but were never seen again. Still others spoke of calling Dean Heller's office multiple times to volunteer -- and were never called back. This is the Nevada GOP. Then there's the ground game. It's nonexistent. There is no GOP "get out the vote" ground game. If I were running for governor or the Senate, I'd reserve half my money for the ground game. Half. It's that important to get voters to the polls. But Nevada GOP candidates clearly spent nothing on the ground game. I swear, I think the people in charge of the GOP ground game work for the Harry Reid machine. What else explains this level of incompetence and laziness? Then there were the texts. What texts? The GOP has no texts. Not one. But some liberal clown put me on the mass-texting list of the Nevada Democratic Party and multiple liberal "get out the vote" groups. The things they sent to me were disgusting. I was shocked at the hate speech toward Donald Trump, Heller, Laxalt and Danny Tarkanian. Those texts urged illegal aliens to vote Democrat or face deportation. But at least the Dems and liberal groups have texts. At least they communicate. At least they work their butts off. At least they wear out their shoe leather (electronically). At least they show up for work. At least they care. They actually want to win. The Nevada GOP has the same energy level as the GOP candidates: zero. I got hundreds of texts from the Nevada Democratic Party and numerous liberal groups. At times, I got dozens per hour -- as many as 50 per day. I got no texts ever from the GOP or any GOP group urging me to vote. Why? Who was in charge?